Soybean hulls were subjected to thermo-mechanical extrusion pretreatment at various in-barrel moisture contents and screw speeds. Extrusion degraded the lignocellulosic structure and enhanced enzymatic hydrolysis of soybean hulls, with up to 155% increase in glucose yield as compared to untreated substrate. Greater glucose yields were observed at higher in-barrel moistures (45% and 50%) and lower screw speed (280 and 350 rpm). Maximum 74% cellulose to glucose conversion resulted from using a two-enzyme cocktail consisting of cellulase and β-glucosidase. 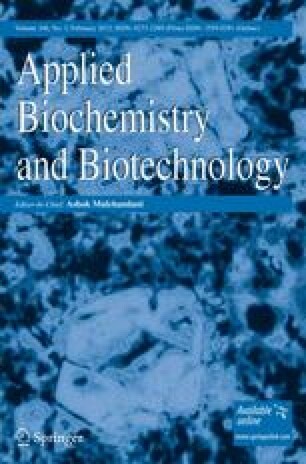 Conversion increased to 87% when a three-enzyme cocktail having a cell wall degrading enzyme complex was used for hydrolysis. Fermentation inhibitors, such as furfural, 5-(hydroxymethyl)-2-furaldehyde (HMF), and acetic acid, were found in the extrusion pretreated soybean hulls and hydrolysate. However, their concentrations were below the known thresholds for inhibition. Fermentation of hydrolysate by Saccharomyces cerevisiae led to high yields of ethanol, with concentration ranging from 13.04 to 15.44 g/L. Monthly Energy Review July 2011. U.S. Energy Information Administration. DOE/EIA-0035(2011/07). Available from: http://www.eia.gov/totalenergy/data/monthly. Accessed July 30, 2011. Blasi, D. A., Drouillard, J., Titgemeyer, E. C., Paisley, S. I., & Brouk, M. J. (2000). Soybean Hulls, Composition and Feeding Value for Beef and Dairy Cattle. Kansas State University, KS, USA. Available from: www.ksre.ksu.edu/library/lvstk2/mf2438.pdf. Accessed November 2, 2010.